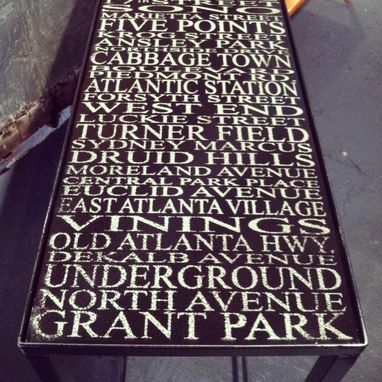 Steel Atlanta Streets Console Table With Aged Lettering And Silvery Black-Wash Patina. It's an totally unique Console Table , an automatic conversations piece and adds a personal hometown vibe to your entry or anywhere in living room! I had a client request a New York City Bus Scroll, and I suggested a Console Table instead. Then, I started making neighborhood versions. 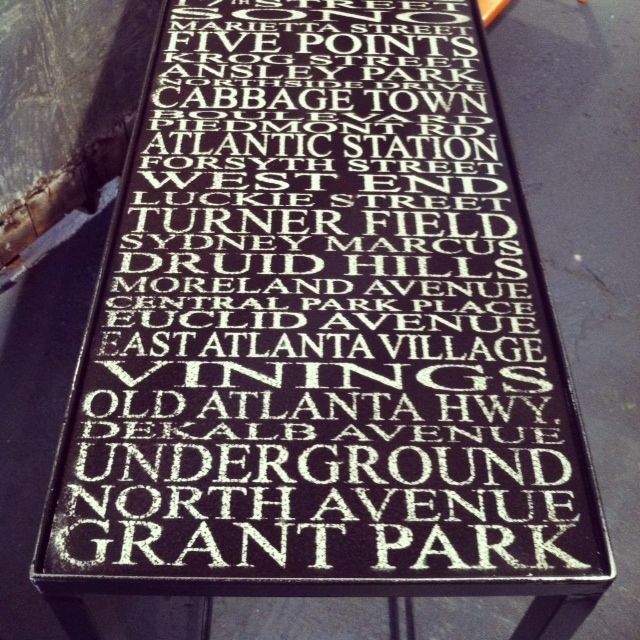 This one is all about Atlanta hot spots. 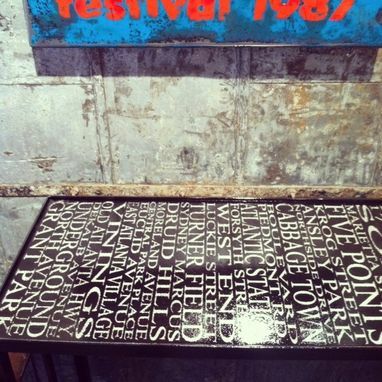 I welded the table and treated it with a beautiful black-wash so that the steel appears dark and silvery. Then I painted the vintage lettering, and coated it with a super hard and crystal clear top coat. It is available with shelves as well.